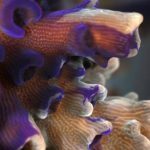 Algorithms help us navigate the twists and turns of our everyday lives, but researches from North Western University have developed one to assist coral reefs in their daily struggles against ocean warming. Combining decades of research and utilizing all studies conducted on algae prior to February 2015, the team was able to create a Al useful algorithm that defines which types of zooxanthellae are most heat-sensitive and which types are most heat-tolerant. Speaking to the current conditions of reefs all over the world Timothy Swain, a postdoctoral fellow in Marcelino’s lab, graduate student in Backman’s lab adds, and co-author of the paper adds: “The bleaching we are experiencing now is unprecedented. Entire populations are collapsing under climate change. We need more information now to give to people who can take action.” It is becoming more and more apparent how extreme the need is for a more comprehensive and quantifiable approach to understanding the vast amount of Symbiodinium algae (zooxanthellae) types, and just how susceptible they truly are to the impending increases in ocean water temperatures. “The first study was just half of the story, together, these studies show a complete picture.” said Luisa Marcelino, research assistant professor of civil and environmental engineering at Northwestern’s McCormick School of Engineering. “We developed the algorithm to solve a problem on our end,” Marcelino said. “But it has enormous applications for any field.” Amanda Morris who writes about this algorithm explains how it works, and how it can be used in other methods of research: “Marcelino and Swain’s novel iterative algorithm is based on partial rank aggregation, which allows for and reconstructs unresolved or incomplete comparisons of thermotolerance among genetic types. An added benefit: the algorithm can be applied to any type of ranking, including other ecological questions, restaurants, schools, election schemes, search engines, and other science and engineering problems.” Read more here!